Synopsis: Inside a quarantined apartment building a man must protect his pregnant wife from his new neighbors. 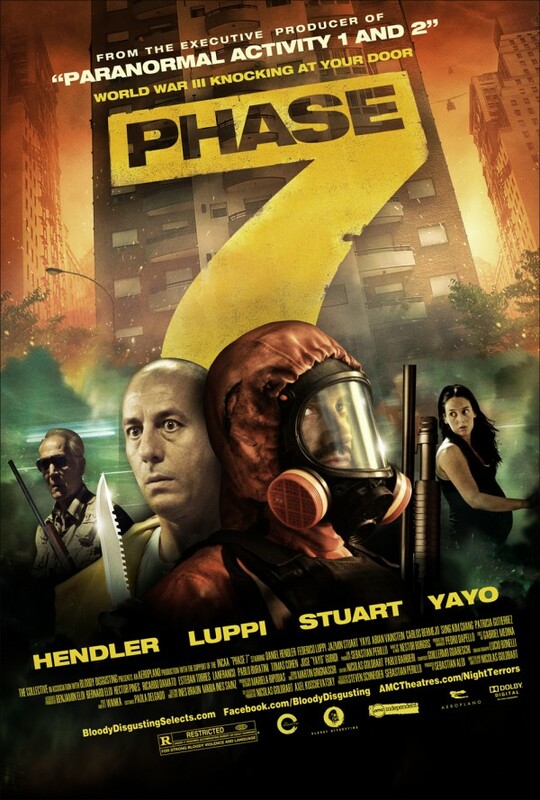 Quick Review: Fase 7 is director Nicolas Goldbart directorial debut, a simple end-of-the-world pandemic movie that takes some inspiration in Rec but prefers to play with the genre and focus on the drama and relationships than pure horror. But don’t worry, gore lovers will have a few scenes to keep them on their toe, while the others will marvel at the spot-on interactions between neighbors in a high alert situation. The main focus of Phase 7 is on Coco and Pipi a young couple who are expecting a kid soon. Each line of dialog between them feels true and never overplayed, so much so, that the rest of the movie seems weaker in comparison. As if Nicolas Goldbart was more at ease with human drama than pure horror. 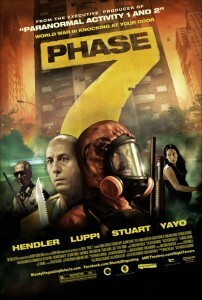 For this reason, Phase 7 has trouble keeping its balance and feels a bit unpolished. It is however better than a common Rec rip-off and definitely deserves a watch (available on Netflix right now).